Welcome to our pages for Motoring Offences. We specialise in motoring offences and can assist you at a Police Station or at Court. Please contact us about your motoring offence on 01536 276300 or 01536 311690 use our online enquiry form. For more detailed information on drink driving offences, click on our specialist Drink Driving page which will provide expert, in-depth advice on this area. Alternatively, contact us on 01536 276300 and receive a quote. Another issue is where, by committing a new speeding offence, you have now accrued 12 or more points on your license. This is called “totting up” and means the Magistrates will ban you for 6 months unless you can show ‘exceptional hardship’ (where your hardship is more than what would normally be suffered as a result of losing your licence). Careless driving refers to ‘Driving without Due Care and Attention’ and occurs when a person’s driving falls below the standard expected of the reasonable motorist. If you genuinely do not feel that the standard of your driving fell below that of the reasonable motorist, give us a call on 01536 276300 and we can help defend your case and advise on the best course of action to take. Dangerous driving occurs when an individual’s driving falls far below the standard of a careful and competent driver and it is obvious to a careful and competent driver that driving in such circumstances would be dangerous. Mandatory disqualification with requirement of a re-test. Due to dangerous driving convictions often facing the possibility of a prison sentence, it is vital to seek expert help and legal advice where possible. 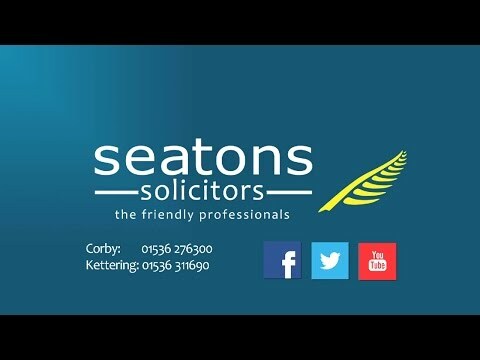 At Seatons, we can help advise on the best course of action to take and offer expert, friendly advice at low, competitive prices. Using a mobile phone whilst driving faces a maximum penalty of a fine of up to £2000 and 6 penalty points. If you already have pre-existing points on your driving licence therefore, and are facing the prospect of a mandatory driving disqualification, it is important to seek expert legal advice to find out the best course of action to take. Alternatively, if you genuinely believe that you have been wrongly accused of such an offence, Seatons are here to defend your case. Give us a call on 01536 276300 and receive a quote. You have the right to appeal against a conviction at a higher Court. Find out more. Driving without Due Care and Attention occurs when a person’s driving falls below the standard expected. Dangerous driving is taken seriously and often faces the possibility of a prison sentence. Find out more. If you have been arrested for drink driving, it is vital that you seek legal advice immediately. See more information and some of the available defences for drink driving here. Driving whilst disqualified is a serious criminal offence that can warrant a prison sentence. It is an offence not to have car insurance whilst driving and the penalties can often be severe. The law on drug driving, otherwise known as driving whilst unfit, is a lot less defined than drink driving. Depending on your circumstances you can apply to the court to get your license back early. When a request for a driver’s details is made, the registered keeper has to provide them. With an increasing number of speed cameras, speeding has become one of the main types of motoring offence. A person driving whilst using a mobile phone is four times more likely to have an accident.